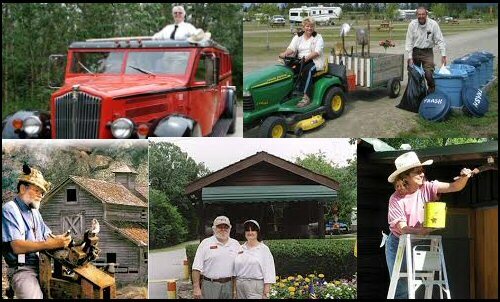 The Adventures & Travels of RoadAbode: What Type of RVing Lifestyle Fits YOU? As head of the RoadAbode Crew, sometimes I'll refer to myself as an "RV LifeStyle Advocate." The kids will usually roll their eyes. But all that means is - I enjoy traveling with friends and family in our motorhome RoadAbode, and love to relate our experiences to others. Ask questions on how we spend time together, or the different places we travel in RoadAbode, or how things work on an RV and my passion for RVing get's revealed. My hope is to help people understand the value and fun of traveling and staying in an RV. It's something we really love doing as a family, and we get excited when people discover the pluses (and take on some of the challenges) of owning and traveling in an RV. 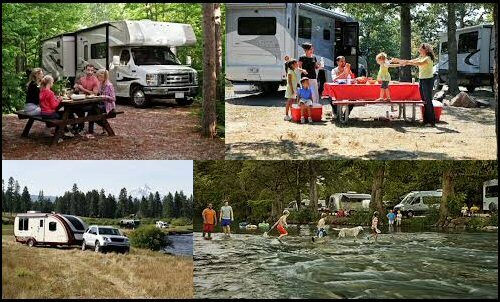 The RV Lifestyle actually includes a variety of ways of utilizing an RV. There are plenty of crossovers between the various ways to live in or use an RV too! Let's examine some possible lifestyle types. Weekenders make up the majority population of the RV community. They usually use their RV to get away with family and friends to a favorite campground, or state park. Some will go to the same park, or hit a "circuit" of parks where they've built friendships with some other weekenders. Other Weekenders travel to a different destination each weekend they can make it out. Weekenders tend to use their RV as their mobile cabin for the hobbies and activities they enjoy. Whether snowboarding, rock climbing, fishing, hiking or just getting away to relax outdoors, their RV get's them there and keeps them comfortable as home base. This group are fortunate enough to have two, three or more weeks to travel in their RV. School teachers, Seasonal workers, entrepreneurs or mobile workers can make up this group. They RV for the love of travel - sometime adventurous, sometimes to relax and just explore a new place or an old favorite. With trips planned for the summer, they travel from one location to the next. Sometimes they have a certain criteria for their tour - "All the major league baseball parks", "Top wineries" or "All the National Parks in the Southwest" Sometimes it's just to visit friends and family- and an RV becomes their home away from home. Maybe the theme is hiking, rock climbing or kayaking. Whatever their passion, Summertimes Adventurers have a set time to spend on their hands, and a specific idea of how to spend it. Snowbirders are usually defined as retirees that follow the sun. Right before the cold winter months, they travel from as far north as Canada and drive toward the warmer climes of Southwestern States, along the Gulf of Mexico, and the state of Florida. 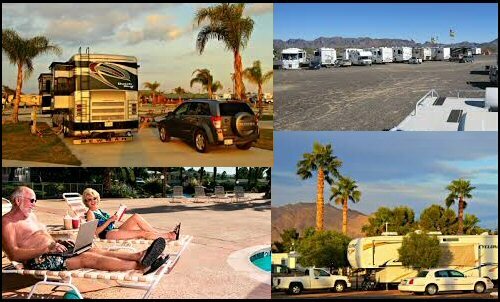 Some have vacation homes in the warmer climates, but we are focusing on the RVing set. The demographic is starting to change though, as more people can work remotely, they can pack up from their "stix and brix" home, and go on the road for extended period of time, taking their work with them. At the end of the work day, rather than fight traffic on snow covered roads, or start shoveling when they get home - they can throw on a swimsuit and lounge by the pool, or do a bit of fishing on the coast. 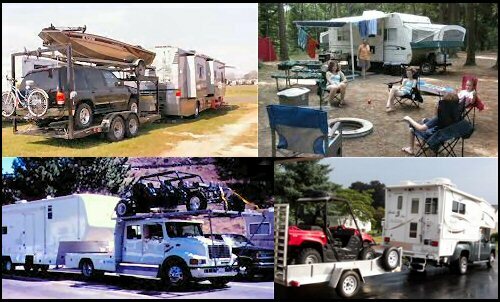 Workcampers can be a sub genre of any lifestyle mentioned above. Ten years ago when we started RVing, workcampers were defined as workers at commercial campgrounds, or volunteers working for a campsite at local, state or national parks. They clean, work in the office, take care of landscaping - using whatever skills they have learned through previous work experience. Workcampers today still do that, but now includes people who will camp near tourist areas; and work as support for amusement parks or other entertainment venues. They may work as interpretive guides, or period actors for historical attractions. Work Campers can work in oilfields and call their trailer or fifth-wheel home. They may follow certain crops to work at harvest time. Amazon even has it's own "camperforce" that help at strategically placed warehouses throughout the country during the holiday rush. Fulltimers that use technology to work remotely are even considered by some "workcampers" (their at a campsite...working). Traveling nurses, technology, and construction workers are all needed sometimes for their mobility, and use that to workcamp their way across the country. There are hundreds of jobs where you don't need to be tied down to a specific space or place to complete your work. How does the RoadAbode Crew RV? 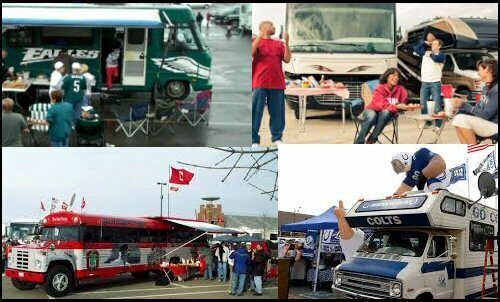 We are basically weekenders, and do some tailgating support for some church outings. We love taking longer weekends, and try to get out with "Guys Weekends" or Girls Weekends" every year. The dream as our kids grow into adulthood is to start snowbirding and work toward some fulltiming workamping adventures. So those are the basic types of RVing Lifestyles. There are plenty that cross over into the others, and ways to use your RV that we didn't even mention. How do you RV? If you think we missed or should add something - let us know in the comments below! Peace! Safe Travels on down the road! What a great post. You have covered the "RV" lifestyles with great insight. There are so many different ways to enjoy life on the road, and each day/week/month brings yet more variations for FT or weekend or whatever is your individual choice. Any use of your RV is truly an adventure.